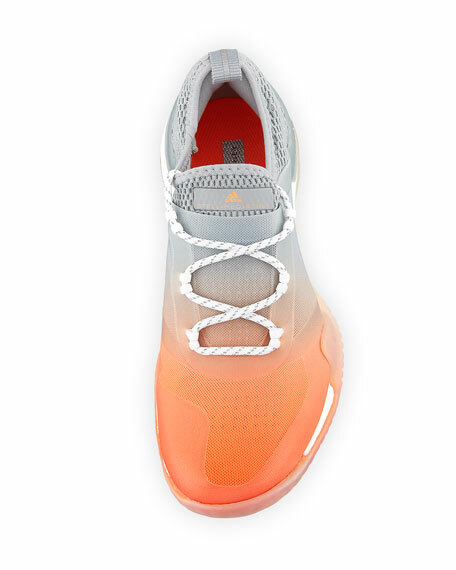 Designed specifically for a woman's foot, the shoe has a floating arch that hugs and supports every step These versatile training shoes are built with an ultra-responsive midsole cushion. An integrated triangle torsion bar controls your vertical movement and gives extra stability. 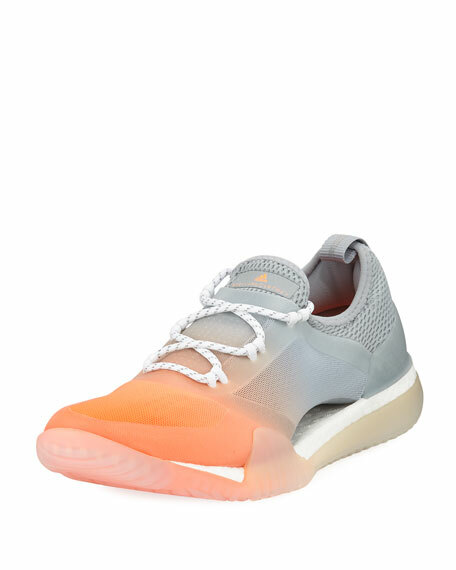 adidas by Stella McCartney "Pure Boost X 3.0" stretch-mesh trainer sneaker. 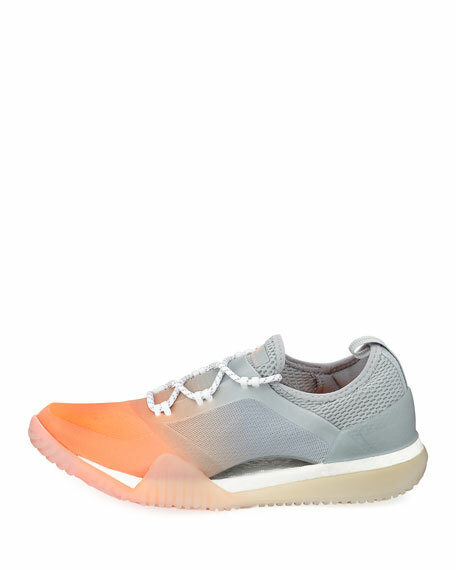 For in-store inquiries, use sku #2448253.